Many cooks recommend steaming as a healthy cooking method, but why? Steaming is the least destructive cooking process. It preserves vitamins, minerals, and fiber in fruits and vegetables. Steaming foods also concentrates the natural flavor allowing the taste to really shine. Steaming is also a fast and easy way to cook food with very little clean up. It generally takes most recipes between 3-6 minutes to steam cook. 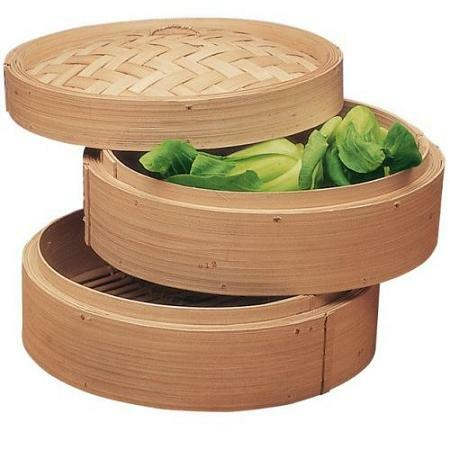 You can steam in the microwave, stove top, bamboo steamer or a steam oven. Look for recipes that use steaming as the main cooking method! This entry was posted in Article and tagged cooking, easy, fast, healthy tips, metabolic cooking, metabolic medical center, metabolic tips by foodies4mmc. Bookmark the permalink.